Looking for shade loving garden plants? North-facing gardens or simply a shady flowerbed can be a challenge when it comes to choosing plants; most flowering plant species require a sunny position, and so do many evergreen plants. Fortunately, though, there are quite a few plants that have adapted to shady conditions, some of them producing beautiful flowers. If you are after shade loving plants for your garden, these are definitely all options to consider. For more in-depth advice, find out how to choose plants for your garden in our guide and check out our sourcebook of top garden retailers for all your gardening needs. Brunnera 'Alexander's Great', or Siberian Bugloss, is a hardy, resilient plant that thrives in shady conditions. Its cool-green leaves are pretty, and shoots of sky-blue flowers appear every spring. Water Brunnera plants regularly throughout summer until fully established. Well drained, moist, fertile soil. Use manure or compost on drier soils. Shade is best, but will do well in a sunny spot, too. Vinca, or periwinkle, is an excellent low-maintenance plant for shady spots in the garden. Its low-growing habit makes it perfect as ground cover, and the pretty violet-blue flowers add plenty of interest. Any position from full sun to shade. This stunning plant is surprisingly easy to grow and is very happy in the shade. Its bright-red foliage is perfect for adding colour to shady borders. Protect plants from frost while young. Harmful if eaten. Moderately fertile, rich, well drained and acidic soil. If growing in a container, pick ericaceous compost. 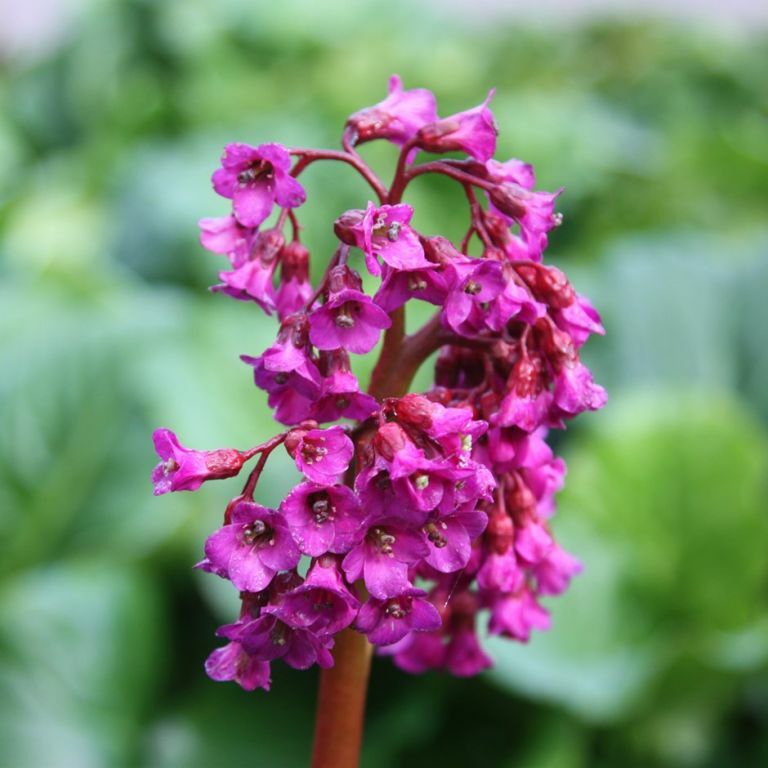 Bergenias are low-maintenance plants that do very well in the shade, producing lovely bright flowers in the spring. For the rest of the year, these evergreen plants are known for their large, 'elephant-ear' leaves. After flowering remove faded flowerheads. Cut off damaged foliage in spring. Lift and divide large clumps in early spring. Any soil type, including clay and dry soils. Ferns are perhaps the most popular plants for shade in the garden, but we think there is none prettier than the Japanese Painted Fern. Its delicate leaves make the perfect companions for all other shade-loving plants on our list. Mix lots of leaf mould, pine needles, or compost into the planting hole; in the autumn and winter, mulch with straw. Moist, fertile, neutral to acid soil.